This Buffalo Chicken Dip is the absolute best! Fully loaded with chopped chicken, three types of cheeses, sour cream, and McCormick Buffalo Seasonings, this dip has the spicy hot sauce flavor that you love! Football season is in full force! And if you are anything like me, you are all about the good food and dips that come a long with it. I am SO excited to be participating in McCormick’s 50 dips for 50 states and I am representing one of my all time favorite states, New York! McCormick has been hard at work creating state dips that feature the flavors and passion of all 50 states (find yours on their website!). I am in a “Dip Face Off” with Sara at Dinner at the Zoo, who is representing Wisconsin. She is sharing Wisconsin Brat and Beer Cheese Dip. These states will go head to head this weekend. Which state are you rooting for and what is your favorite dip? 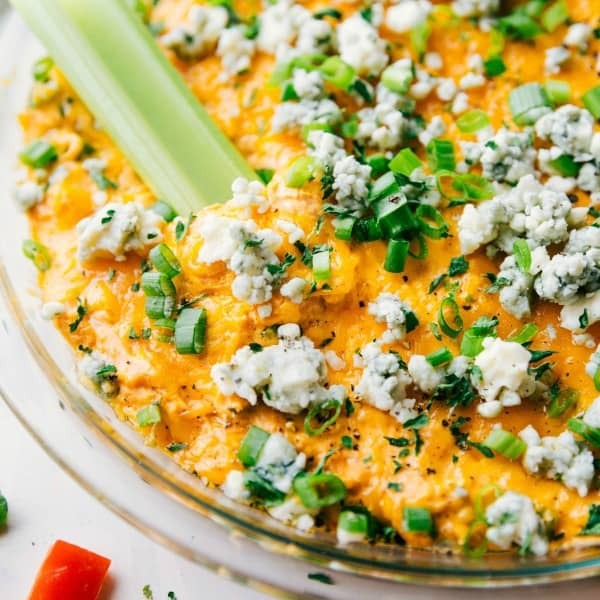 Buffalo Chicken Dip is hands down a football game must! It has its signature spicy hot sauce flavor that can’t be beat. It is so easy to make and McCormick’s Buffalo seasoning mix makes it so easy to just add that flavor we all know and love. This Buffalo Chicken Dip is perfect for representing New York. Buffalo Chicken Dip is appreciated all across the country – and state! – not just in Buffalo, NY. It may be hugely popular in New York but it is slowly taking over around the world becoming everyones favorite! This Buffalo Chicken Dip recipe is by far the best and is loaded with chicken, three different types of cheeses, sour cream, and buffalo seasonings to really pack in the heat and flavor. This dip is so simple to but will make you the most popular football host in town. It is so creamy, cheesy and delicious that everyone won’t be able to get enough of it! I love the spicy flavor in the dip. 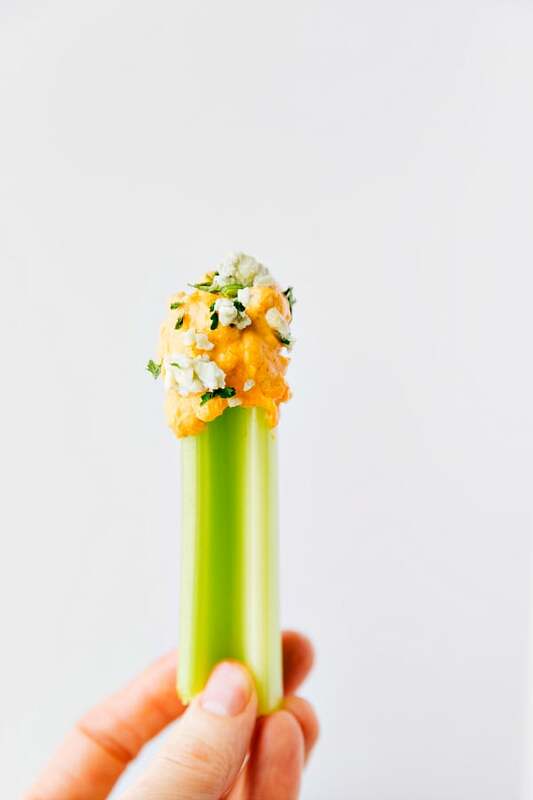 And it is perfect to jazz the dip up by adding crumbled blue cheese and fresh chopped green onions. Preheat oven to 350°F. Mix cream cheese, sour cream, ½ cup of the Cheddar cheese and Seasoning Mix in medium bowl until well blended. Stir in chicken. Spoon into lightly greased pie plate or 8x8 inch pan. Top with remaining ½ cup Cheddar cheese. Bake 20 minutes or until heated through. Sprinkle with blue cheese and sliced green onions, if desired. Your dip is gorgeous! I’m in a dip faceoff, too. This cheese on your dip…looks amazing! Oh my gosh this looks amazing. As a midwest girl I can testify that the flavor combination is the BEST! !